Obviously, on a day such as this, there are only two ways to celebrate. First, go for a great run. Run with friends. Run with a group. Run solo. Just run. Then, enter a fabulous giveaway. That’s right. 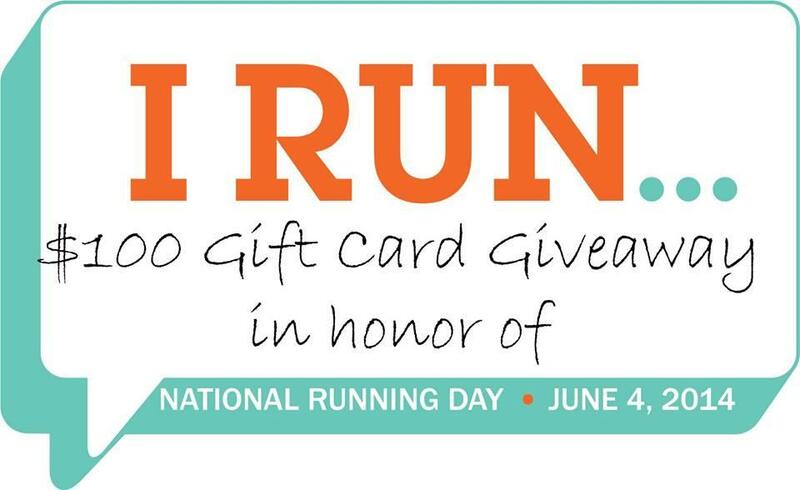 I have teamed up with April of Run the Great Wide Somewhere, Patty of My No-Guilt Life, Anne of Outrunning the Fork and Cara of Running In Sanity, to offer one winner a choice of $100 gift card to either Amazon, Sparkle Skirts or Disney. No matter which gift card you choose if you win, you’ll be treated to a great little shopping spree. 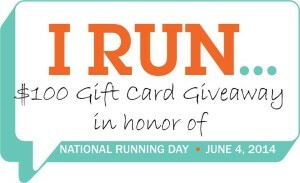 You have from today (June 4) until Tuesday, June 10, 2014 to enter for your chance to win. Our winner will be selected via the Rafflecopter widget, notified by email and has 48 hours to claim his or her prize. Run, don’t walk, to enter! Pun absolutely intended! Enjoy this great day and good luck! megan recently posted…What’s for dinner?